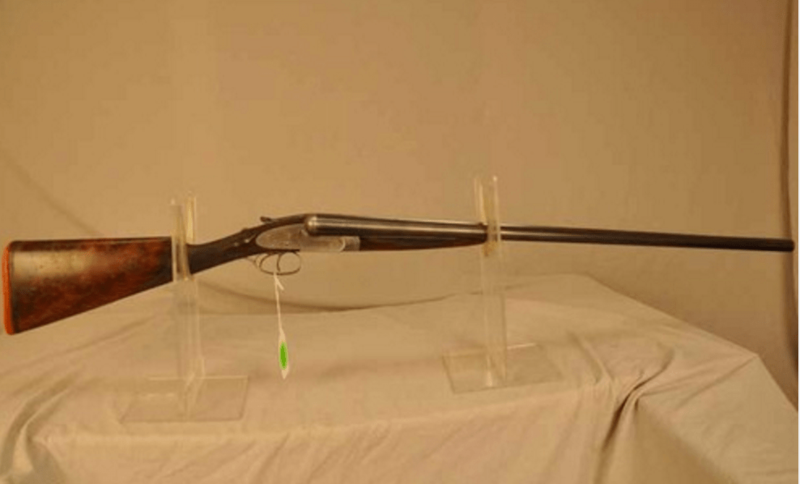 The internet is an incredible tool — especially if you’re interested in old guns. I’ve spent hundred of hours online learning about all sorts of SxSs and OUs. I’ve also done a fair amount of buying there — either through straight sales or online auctions. Over the course of doing this, I’ve learned one lesson over and over: Buying online is always a gamble. Occasionally, the odds are my favor (or I think they are). But most of the time, the odds of getting a good deal are against me. 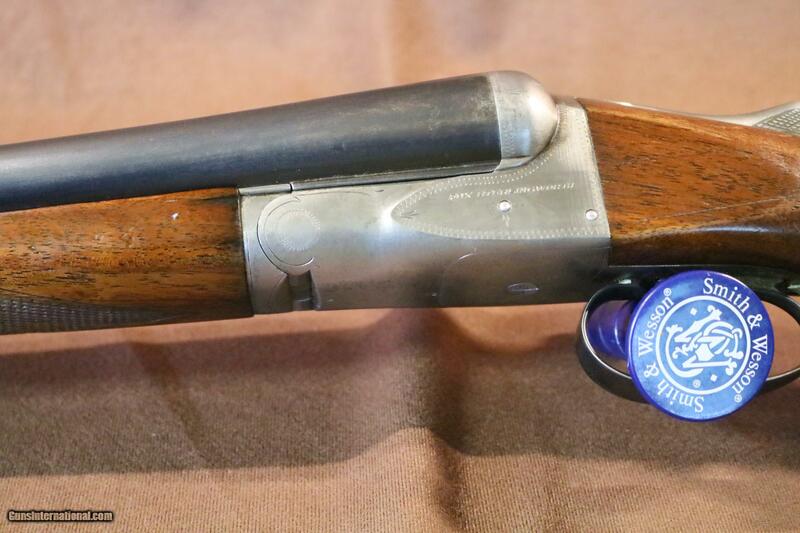 From what I can see, that’s the case with the 12g Purdey SxS you see here. 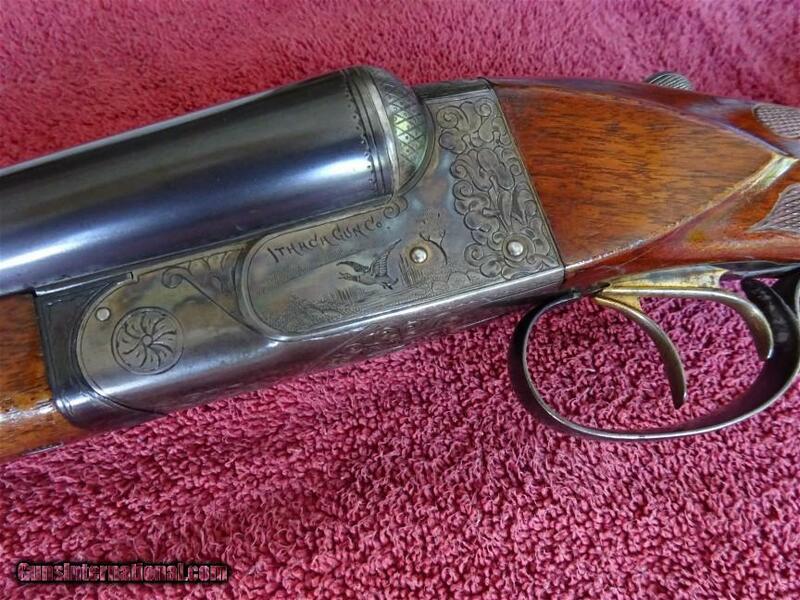 This Purdey could be an awesome gun. 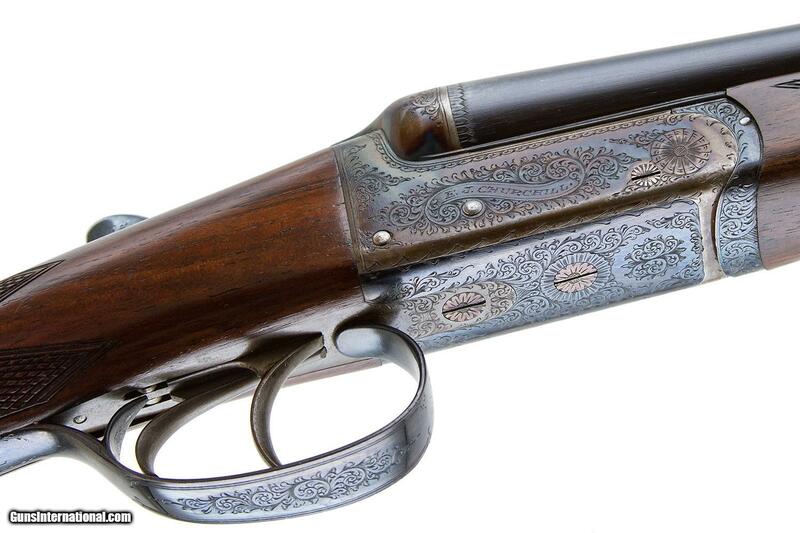 Purdey built some of their finest doubles from the 1890s to WW1. But while this example looks good and original in the pictures, what you can’t see could end up being bad. And while there are a lot of words in the description, there’s still a lot the auctioneer isn’t saying. -Is the gun tight and on the face? -Are the ejectors in time? -Are there any dents, dings, or bulges in the barrels? Any signs of repairs? On top of these questions, the barrel measurements provided are useless. 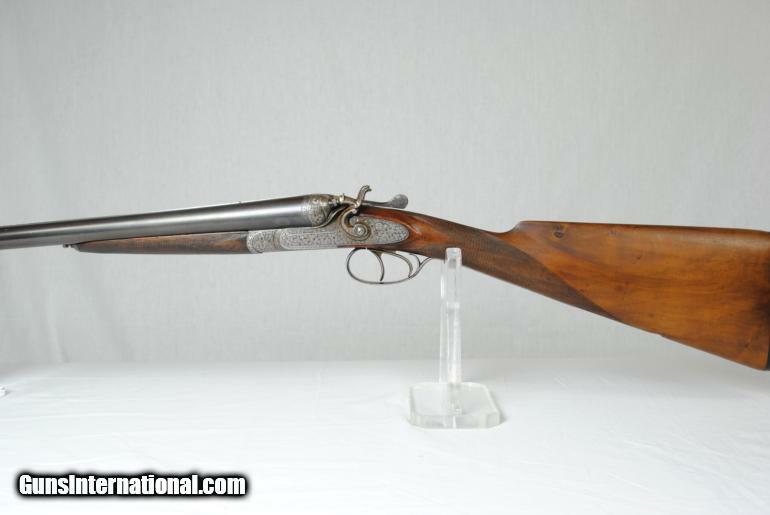 It’s impossible to tell if the gun is in proof from them, and there’s no way of knowing the barrels’ minimum wall measurements. 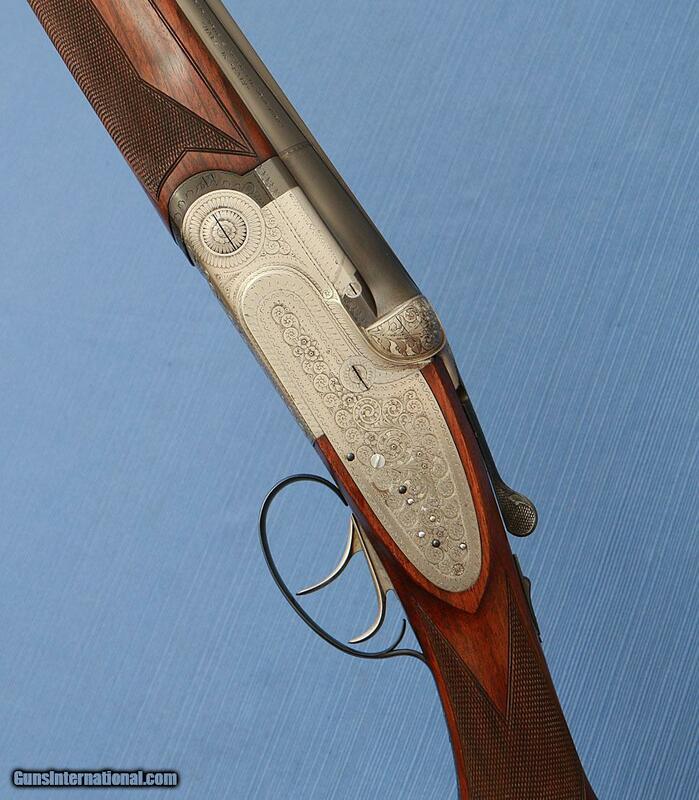 So is this Purdey worth bidding on? It’s up to you. Do you feel lucky? 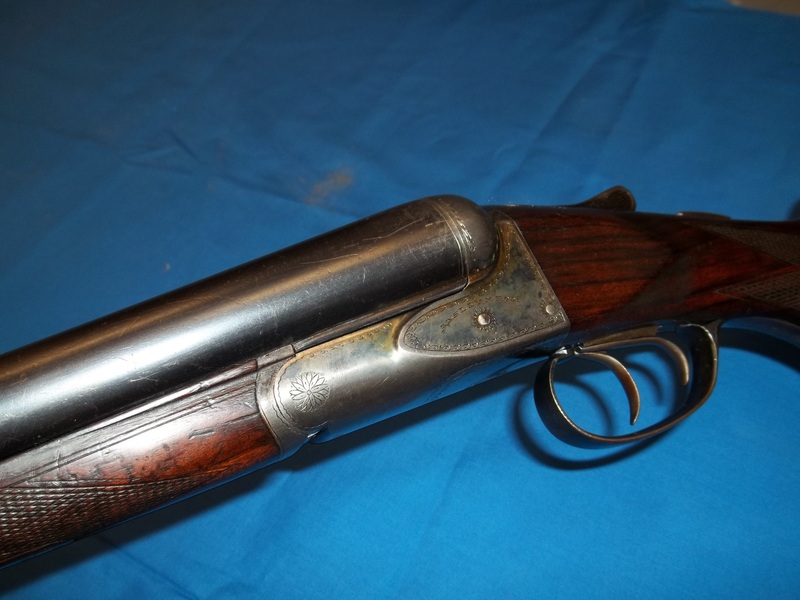 Lot #13: J. Purdey & Sons Best Quality, 12 ga. side by side shotgun, 30″ Whitworth steel barrels, Hammerless, Ejectors, Trunk Case, England: Serial #14952, mfg. 1894 in London, England. Antique. Very good condition. Wow! 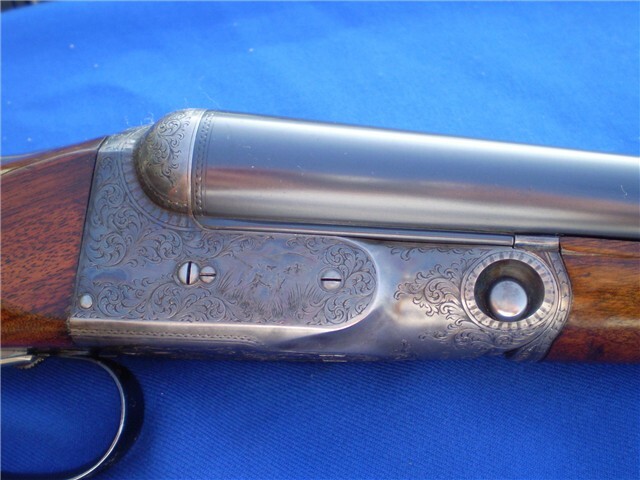 A drop-dead GORGEOUS example of the finest shotgun ever produced – a “Best Quality” Purdey in superb condition. 30″ Whitworth steel barrels have bright shiny bores – choked FULL/FULL. 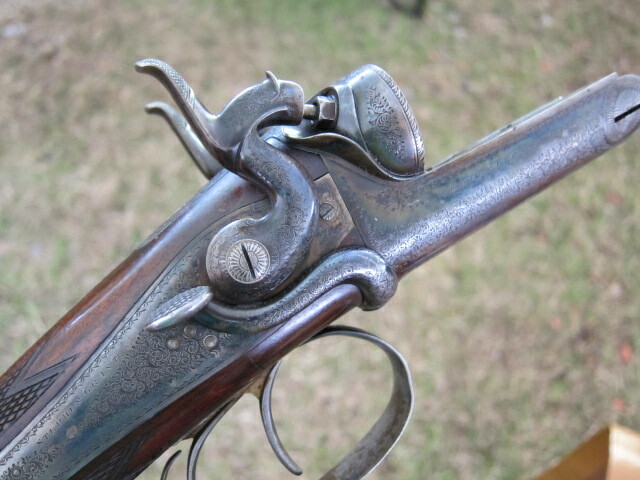 Tight lock-up with top lever dead center. 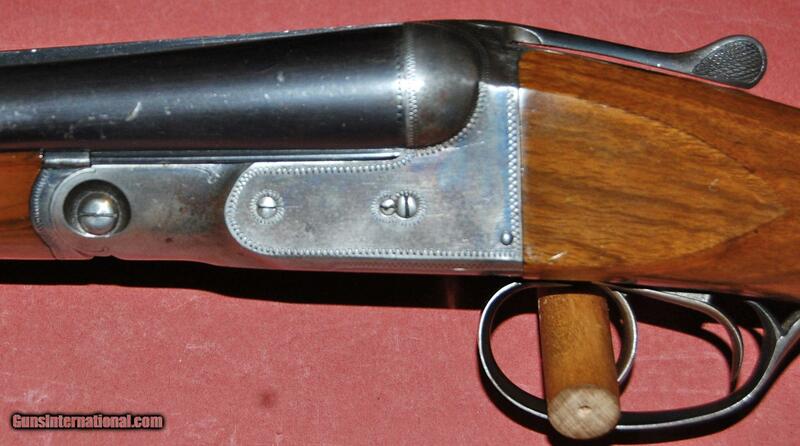 Bluing on barrels is 90% with some thinness on the carry area above the forearm center. Beautifully scrolled lockplates with maker’s name on both sides. 20% faint case color remaining on lockplates. Ejectors work well! Double triggers. All matching iron. Splinter forearm. LOP is 14 1/2″ over original red pad which is a bit squished as expected. The dark European walnut is to die for with black swirls and figure. 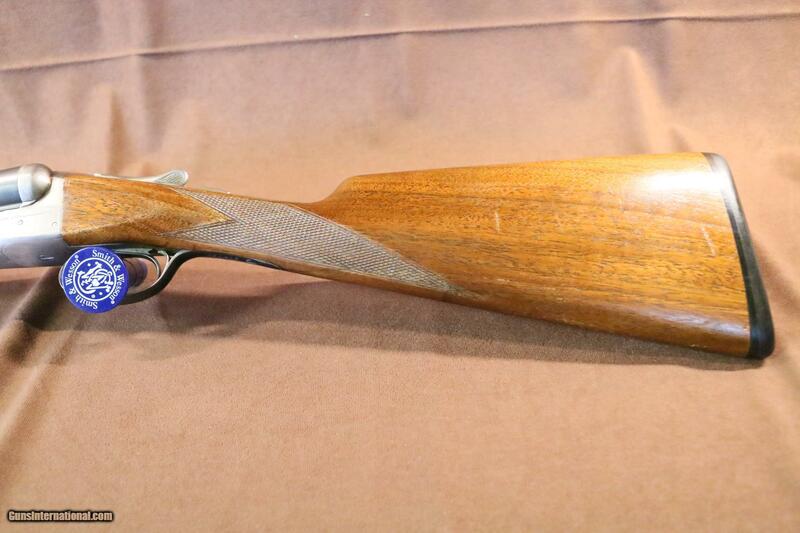 Straight grip – slender and dainty wrist. 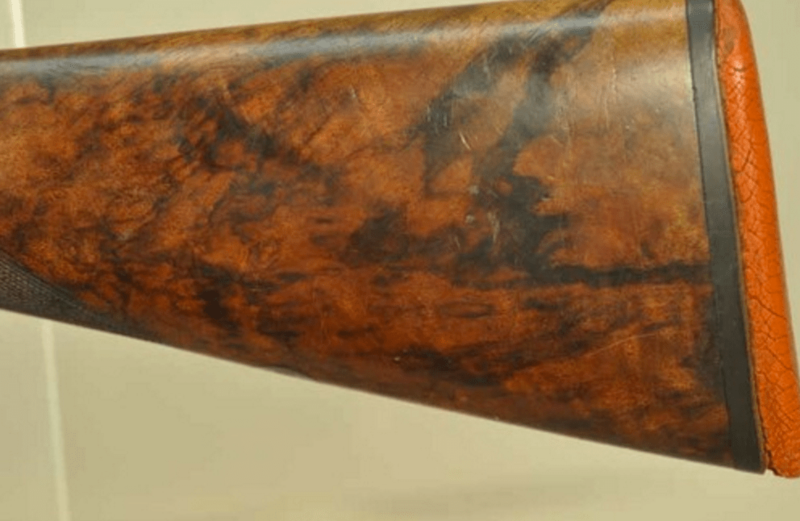 Fine line checkering is superb – shows just a bit of smoothness from hunting chores. 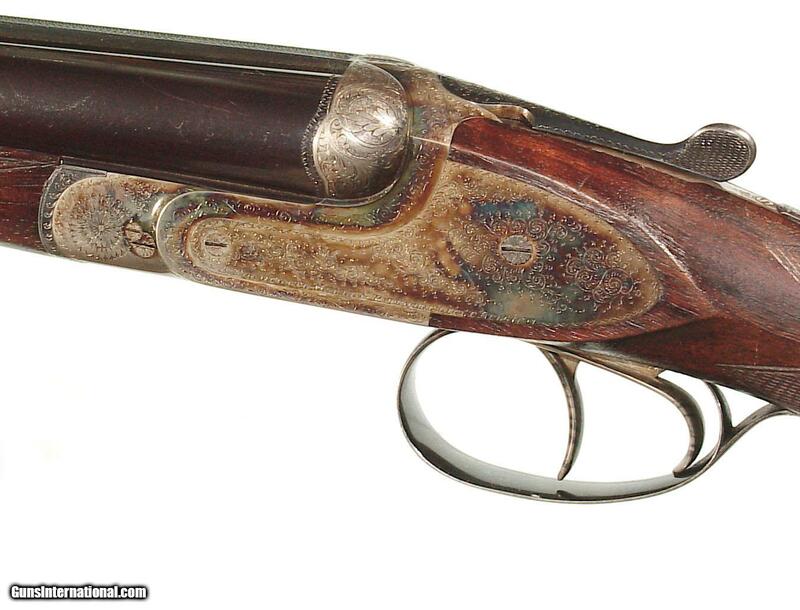 This firearm has remained in a Montana family – having started its life in 1894 as a pair (#1’s whereabouts is unknown) with an Irish noble who hunted/shot driven birds with it, then it came over the “pond” to America where it was hunted with as well and then passed to the great-grandson. 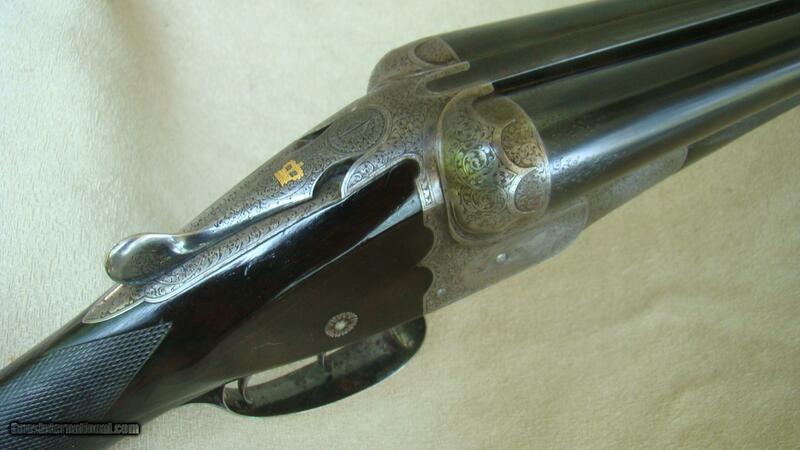 Lovingly cared for, it is a superb piece with some hunting marks on the wood as expected. Totally exceptional double! 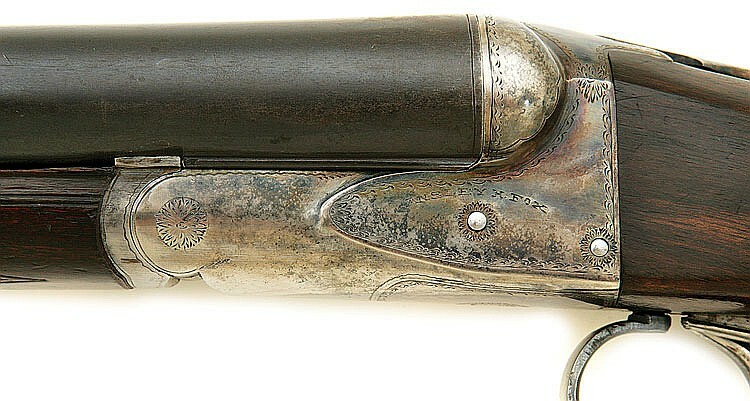 Underside of barrel has “Crown P” and “Crown V” proofs. Barrels are serialed to receiver. DAH 2 3/8″. DAC 1 3/8″. Left cast. 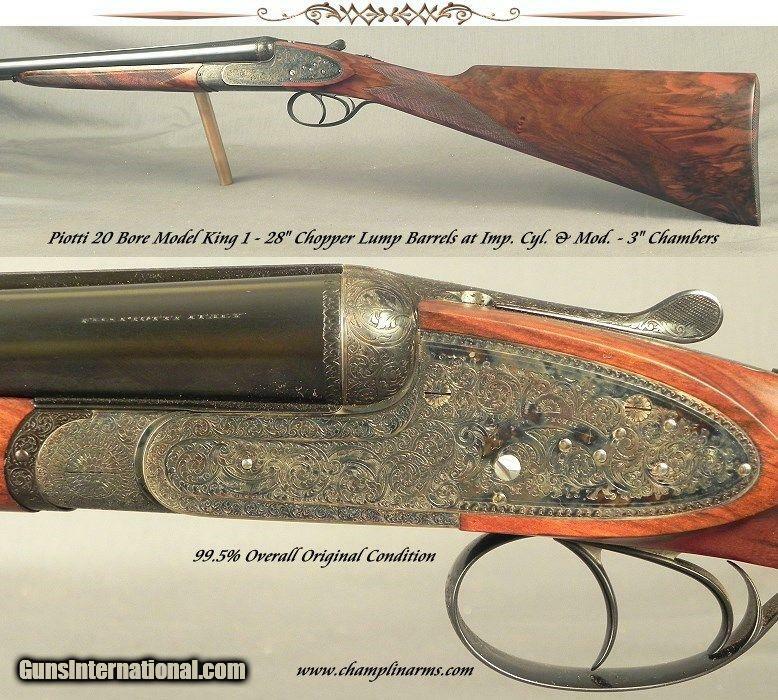 Barrel measurements: Barrel wall – .0555 and .0460, outside diameter – .821 and .827, inside diameter – .710 and .735 and mid bore – .733 and .735. 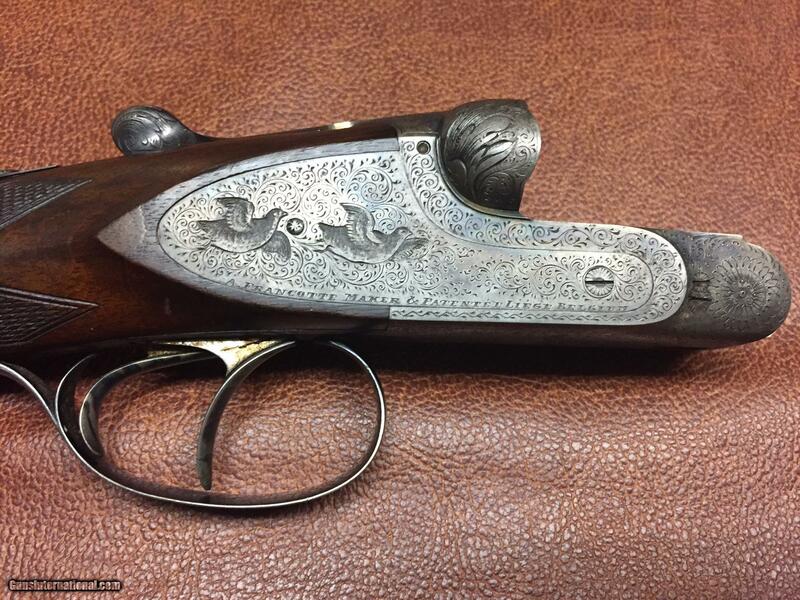 Included with this Purdey is a factory history from the London factory (an email – everything in the email is stated below). 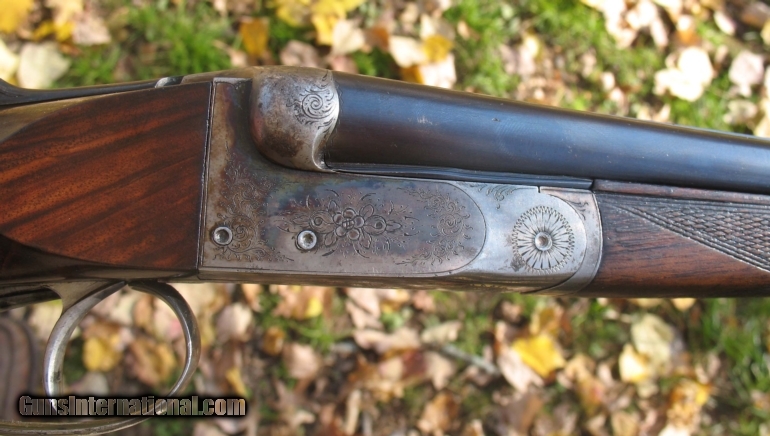 It states this fine shotgun was built for Mr. G.E. 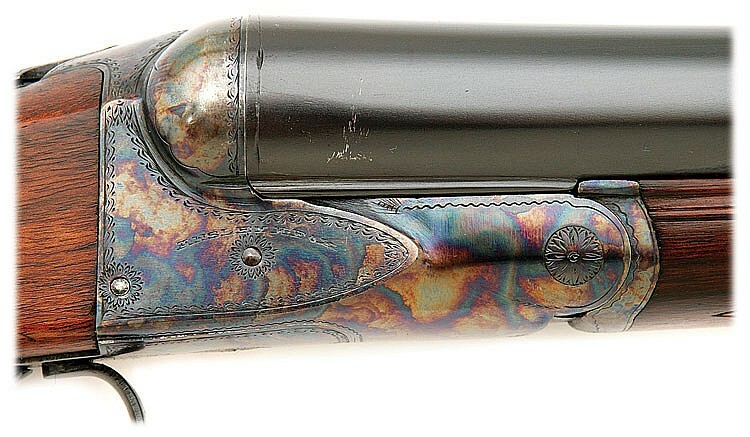 Pollock in August of 1894 and was number two of a pair (“2” is on the rear of barrel rib , on watertable and on the top lever). 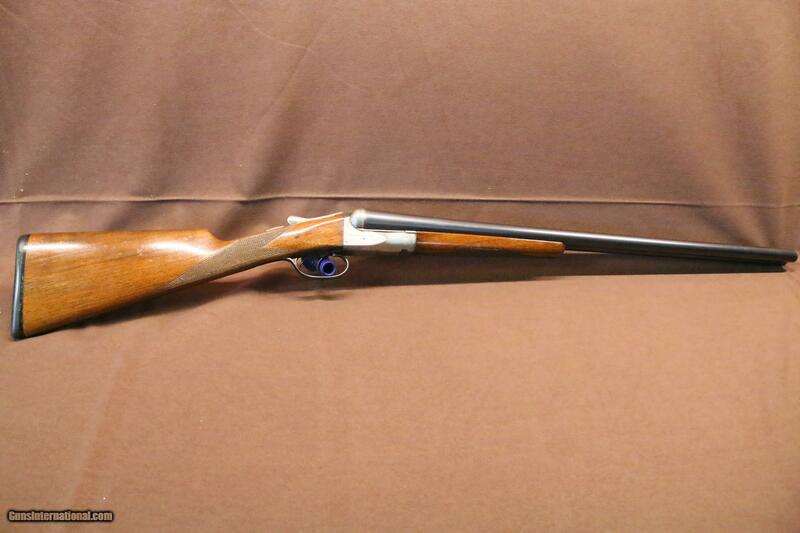 The present configuration is confirmed by the factory records as “30” Whitworth steel barrels, 2 3/4″ chambers, full choke both barrels”. 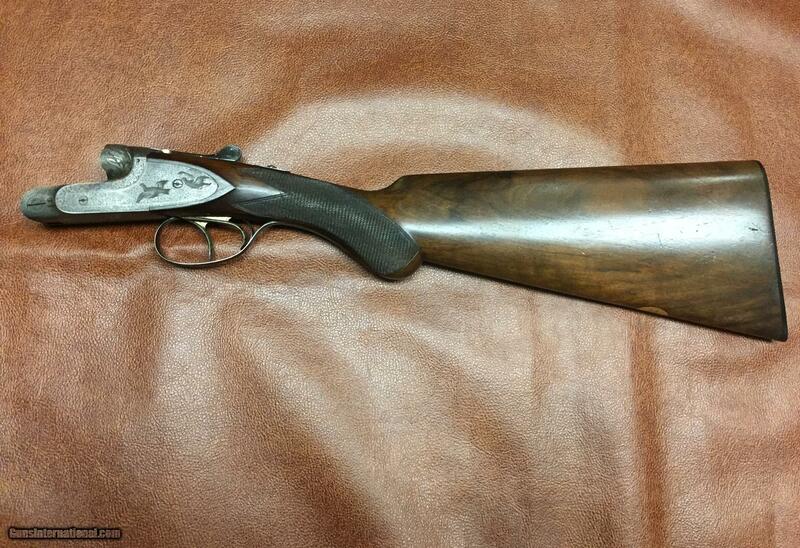 Also noted is: “3rd grip to action, stock length is 14 9/16″ mid and weight of gun is 7 lb. 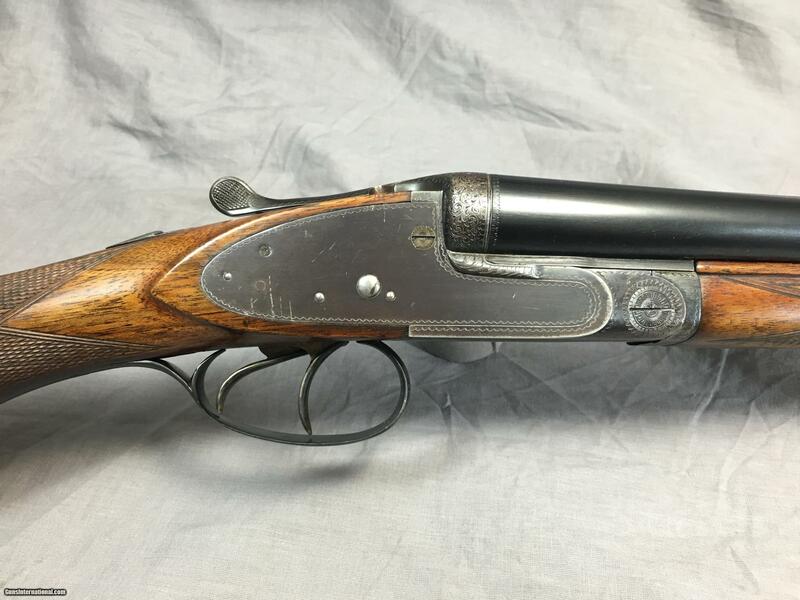 1/2 oz.” David Maynard of the factory staff added: “I would suggest an insurance value for this gun of 15,000 pounds ($19,623.75 in U.S. dollars).” Includes the family’s leather/silver appointed/green crushed velvet interior/key trunk case (good condition) that was purchased for this shotgun prior to W.W. I. 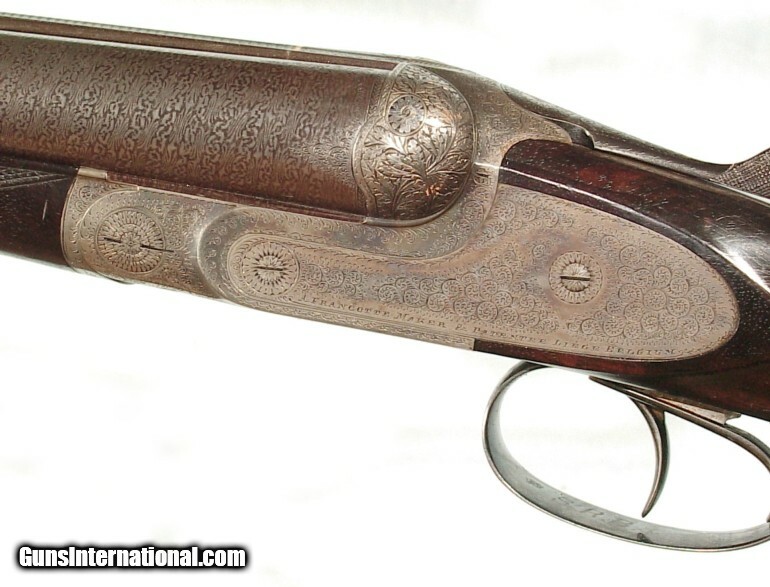 A breathtaking example of a steel-barreled Best Quality Purdey. 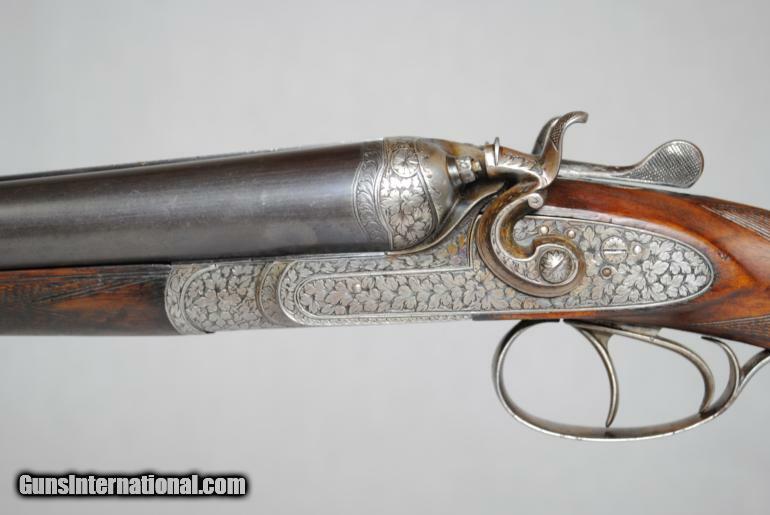 Today to have this gun made you would be in the six figures. Antique. Can ship right to your door. Gunrunner West item. 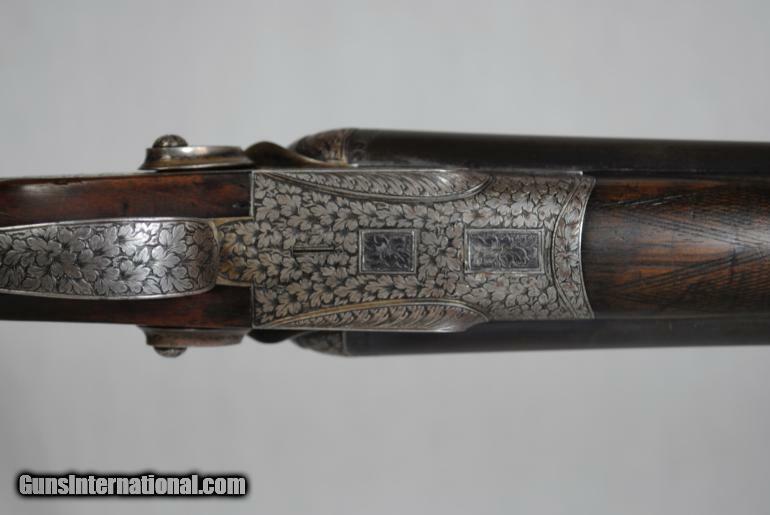 NOTE: Extra photos available including shots of the barrel underside and watertable. 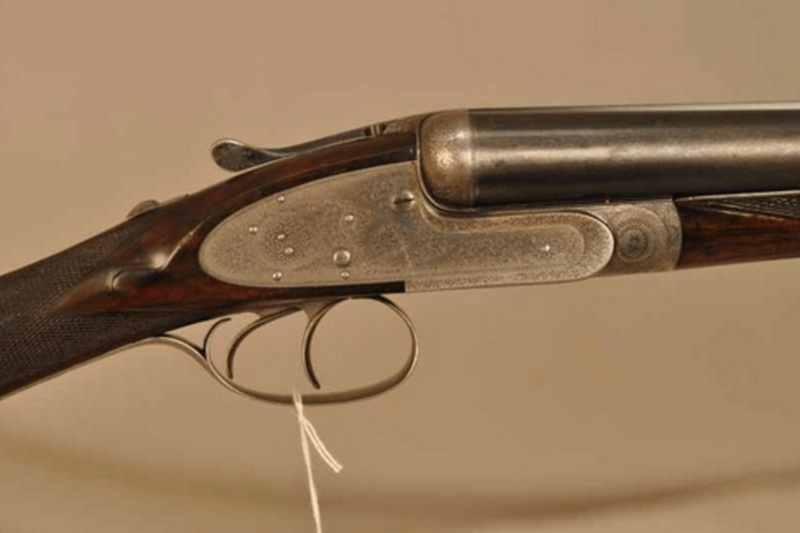 Is one DHE more valuable…and why? 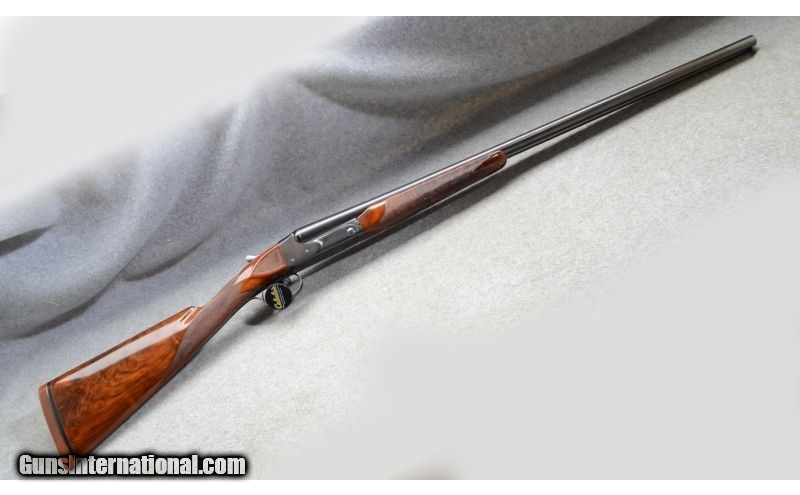 Value is an interesting concept, especially when it comes to double barrel shotguns. 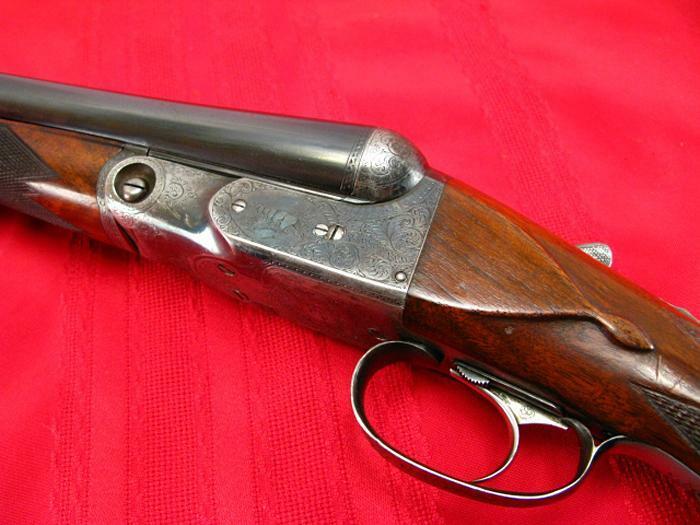 Why one gun is more valuable than another is sometimes hard to figure out. Here’s an an example of what I mean. 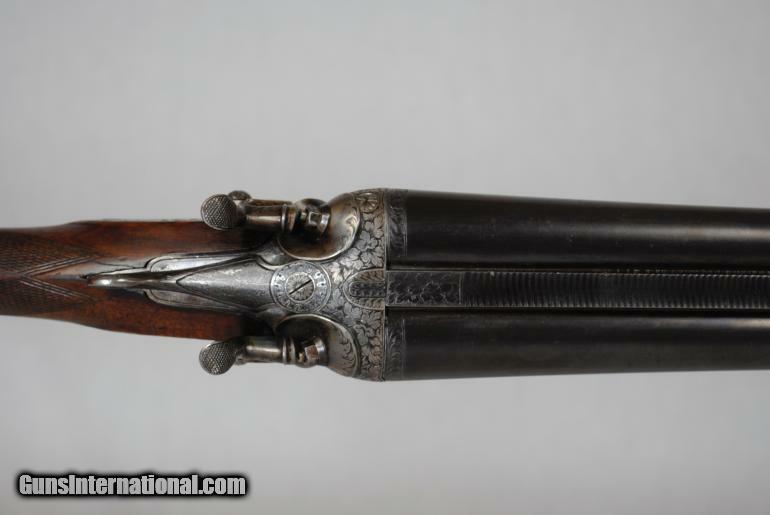 Boths guns are pretty similiar: 12 gauge DHEs with single triggers. They’re both two barrel sets, and they’re both in excellent original condition. They even have similiar stock dimensions. So why is it that one is going to bring so much more than the other? 1. 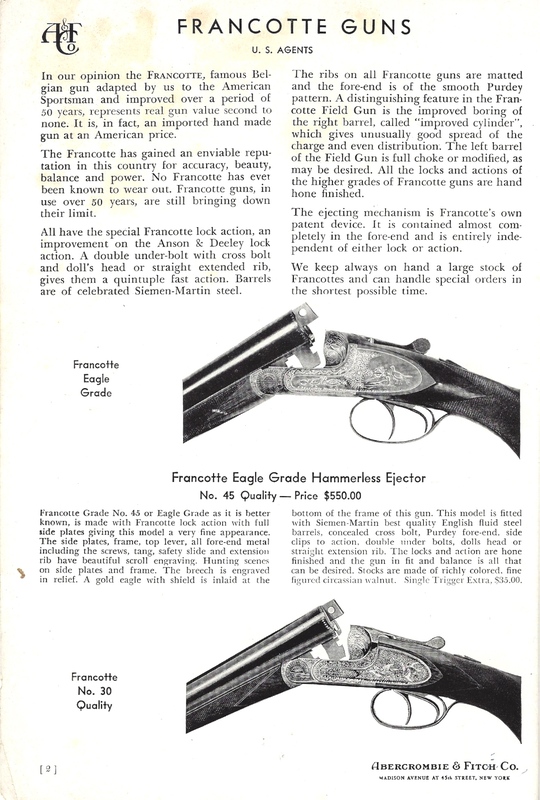 The DHE on Gunbroker letters as original. Of course, this is a big deal. 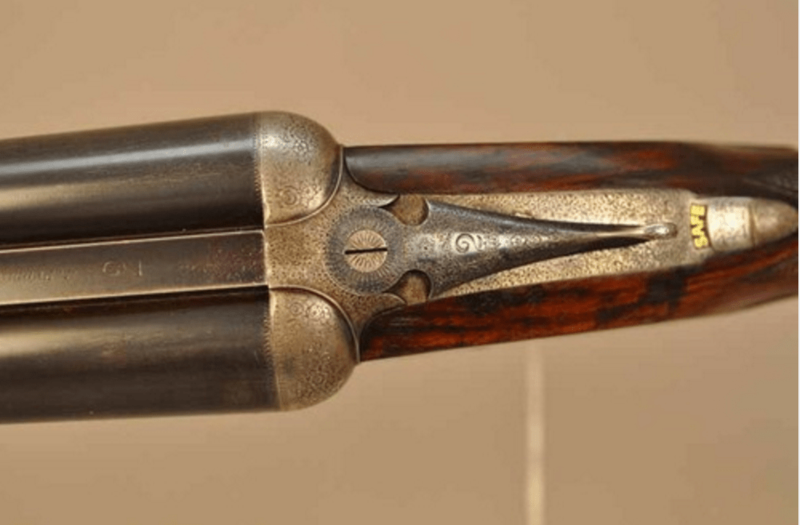 Provable original condition is the gold-standard on old shotguns. 2. The online auction companies. 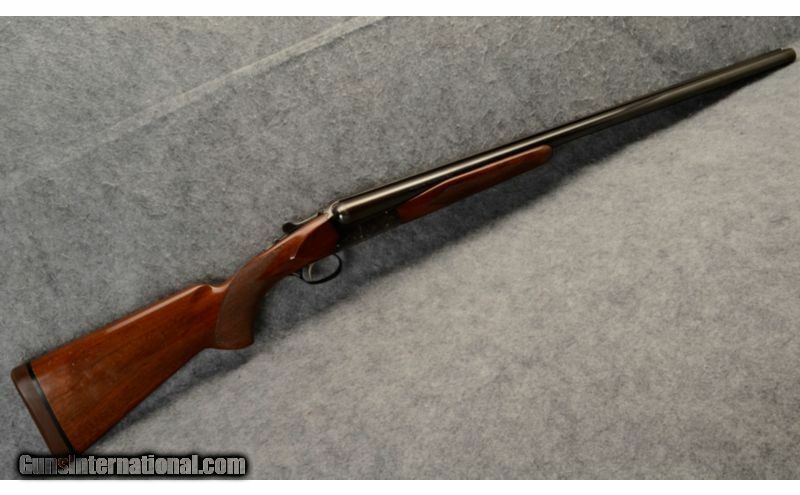 Maybe Auctionarms doesn’t have the traffic that Gunbroker sees.